THE RETURN OF WITCHGIRLS INC.
It’s a detective agency run by witches! 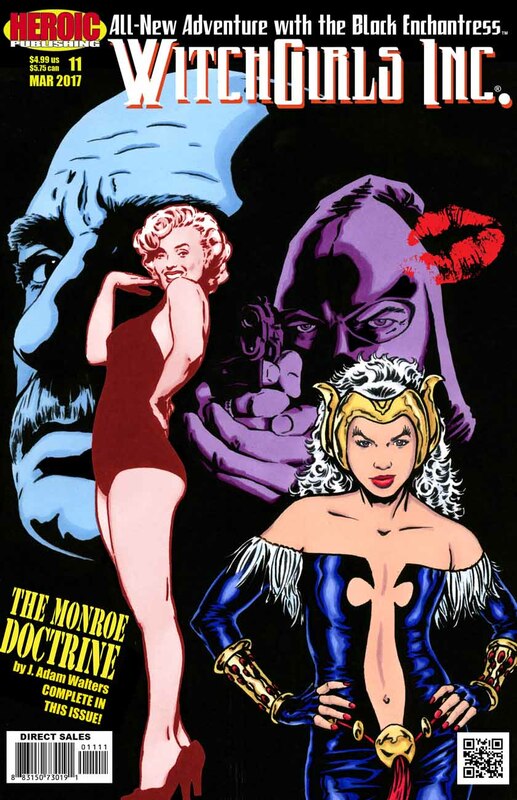 Between 2005 and 2010, Heroic Publishing brought us a total of ten issues of WitchGirls Inc. It was a comic book about a detective agency run by two of the cleverest young witches you could ever hope to meet: PSYCHE and the BLACK ENCHANTRESS. Now, at last, the WitchGirls are back, in a brand-new series of brand-new adventures. In the all-new WitchGirls Inc #11, enjoy an all-new, booklength adventures starring the ever-naughty Black Enchantress. 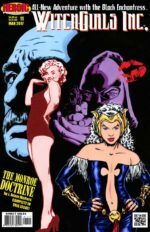 “The Monroe Doctrine” is a J. Adam Walters tour de force, as he follows up at last on his classic tale from the very first issue of WitchGirls Inc. What happens when an 84-year-old lawyer finds himself trapped in a body that duplicates Marilyn Monroe’s? It’s up to our wicked little WitchGirl to discover who did the deed, and how to put it to right.